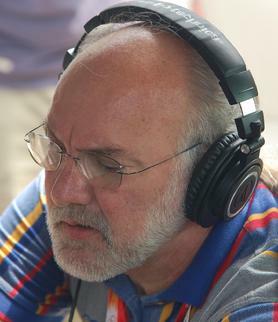 founder of Dennis Baxter Sound. Sound is that unique differentiator in the production vision of an imaginative producer. Dennis Baxter Sound, a world reknown audio consulting firm, can help you achieve it. For many years, we have worked with global broadcasters and media companies to realize that differentiator through a complete sound experience. Cultivated by an award-winning and unique perception of sound design, we can share our vision of bringing advanced technologies and creative audio art together to go beyond the commonplace. Dennis Baxter began his journey in sound with a fascination of music and how it was reproduced both live and in the studio. He learned about sound in studios and on television stages, but quickly discovered live sound for sports broadcasting and found a passion for combining his creative skills from the studio with the thrill of live production. Live production of sound for the electronic media has always been a blend of art and science – from the early days of radio when sound effects were created live with everything from a lid screwing off of a jar to coconut shells convincingly recreating the clip-clop of horse hoofs. Digital technology has made possible a creative and technical renaissance in media consumption and production with the introduction and commercialization of ultra high definition - high dynamic range (UHD/HDR) picture with immersive sound. You and your organization can become masterful in both sound design and production that sets a new competitive standard. 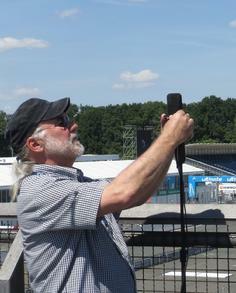 And Dennis Baxter Sound can share world-class experience and expertise to help you get there.